Training, Maintenance Engineering and Facility Management Services, With its proven Maintenance credentials to its credit, the COMPANY also has established strong Technical partnerships with leading national and international brands. ENMAS is well placed to provide Asset Management initiatives through ENMAS Asset Integrity Management Services (EAIMS), focussing on offering advanced Maintenance & Materials optimization services. The company serves a host industrial segments with an emphasis on its clients achieving high quality 360 Degree Asset Management benefits..
ENMAS is having Strong Technical skills to carry out Erection, Commissioning, Maintenance, Operation, Project, Shutdown activities in Power, Oil & Gas and Petrochemical industries. 4. Carry out Scheduled Maintenance at specified intervals based on performance and OEM recommendation. ENMAS O&M was established as part of Resurgent Group during the year 2005, has created a niche for itself and has become a major player for operation and maintenance of power, steel, cement and process plants. Its exclusive strength is to take up the contracts on performance based turnkey O&M inclusive of chemicals, consumables and spares on long term basis (upto 15 years). With the support of clients through dedicated professional services, ENMAS O&M augmented products supply viz. Process Boiler, Water Treatment Plants, Air Cooled Condensers, Power Plant Spares, Electrical & Instrumentation system through its business units / subsidiaries and associates with a value addition. We also can offer all types of Energy Management Solutions as your preferred partners. 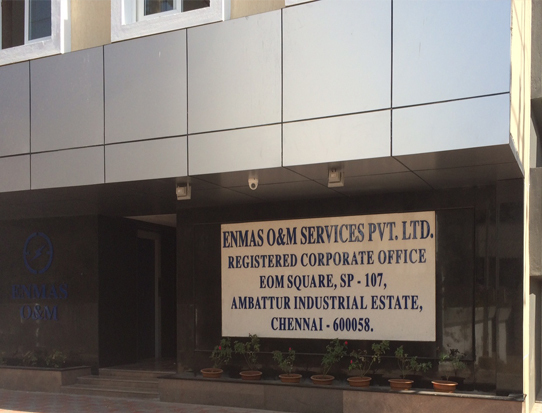 ENMAS, a unique brand name exists for more than 3 decades in Indian Power and Boiler Industry for various types of boilers with advanced technologies from global players.